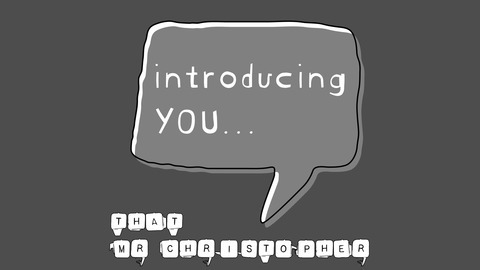 Introducing You... is a weekly podcast where 'That Mr Christopher' meets ordinary yet amazing people; recording face to face conversations about almost anything, he meets people who have stories to share and knowledge to impart. Who will That Mr Christopher be having a conversation with for an hour each week? - Well quite simply, you, or at least it could be you or someone you know. Anyone that has a story to tell or something interesting to say. Some conversations are sad, some are funny; many are just there to educate and inform and some conversations just serve as simple human connection. Social media and the busy lives that we all now lead has created a society where conversations can be so throw away, disposable or even non-existent; they often have no meaning and many people have forgotten how to have a conversation. If you think you (or anyone you know) could be right for the show, and you want to have a chance to speak, share your views, educate, or inform then please get in touch. www.thatmrchristopher.com. So I may have made a terrible mistake by having the 'Introducing You' podcast editor and tech wizard, Robert on the show, I say mistake because he goes a little nuts when on camera or microphone, I think its a nervous thing. I had to record the start of this episode several times owing to his mucking about, I still don't know if it came out 100% right. Robert is a guy I have known for over 6 years now, but I don't really know him, seeing as this is the entire point of this show I decided to give him a go at being on the podcast rather than just editing it. Towards the end of the episode we really got into some heavy things and I learnt a whole lot of new stuff about one of the people in my life who is fast becoming an amazing friend, and yes, he is American. 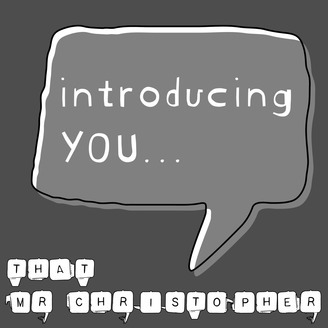 On 'Introducing You' I discover that there is, as with most people in our circle of acquaintances and friends; a bigger and more personal story behind what I and most people can know without having the conversation and asking the questions. So here I am, asking the questions.